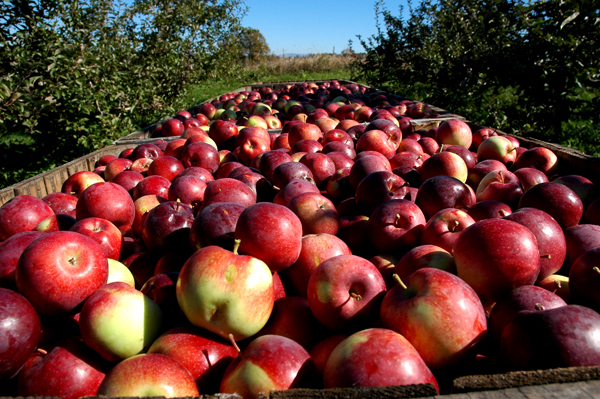 Photo credit: Champlain Orchards, Inc.
Champlain Orchards has 130 acres of apple trees that supplies 3 million apples to sites across the state of Vermont. 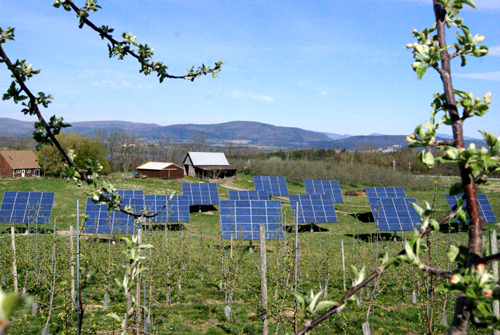 Owned by Bill Suhr since 1998, the orchard began powering 100% of its electricity needs with the sun in 2012. 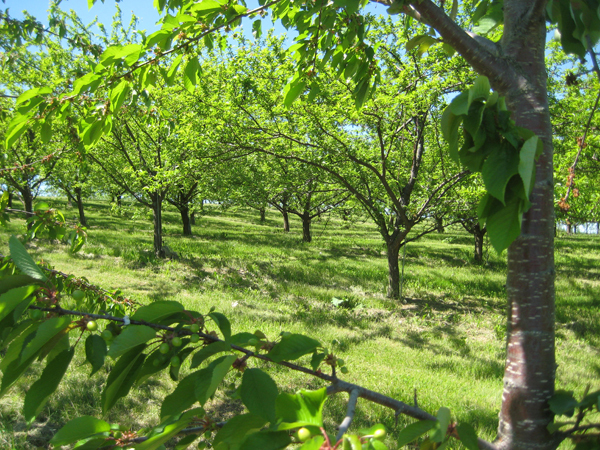 Champlain orchards uses tracking technology called AllSun Trackers, which are locally made by a company called AllEarth Renewables. The use of a tracking system increases efficiency of the photovoltaics by 30%. The system works by mounting the solar panels on poles that follow the direction of the sun using wireless and GPS technology. 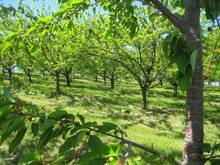 14 such pole systems are installed at Champlain Orchards and produces 165 MWh annually. The owner is reported to appreciate the benefits of both energy independence and the opportunity to teach people about renewable energy, as they learn about their local food.